Japanese Knotweed Control and Management. Although we control other invasive weeds we specialise in the control of Japanese knotweed. When treating Japanese knotweed there are strict guidelines and laws to adhere to so we have taken the necessary steps to make sure we are effective in controlling this invasive weed. We have attending the PCA Control and eradication of Japanese knotweed two day course and this taught us best practice and effective control measures. We are licensed in the administration of pesticides, with official City and Guilds qualifications NPTC codes PA1 and PA6. So you have piece of mind that we are competent and professional. Japanese knotweed is able to colonise a variety of urban and rural environments. Due to its ability to exploit weaknesses in construction material, such as concrete and tarmac, new knotweed growth can cause damage to structures and roads thus affecting the value of property as it rapidly develops. As Japanese knotweed grows along riverbanks it is able to colonise large areas as stems and rhizomes are carried downstream to ultimately spread the infestation causing severe damage to flood defence structures. Ecosystems can be disrupted by the presence of Japanese knotweed pwhich can starve the surrounding native plants of resources, seriously impacting on the delicate balance of local food chains. 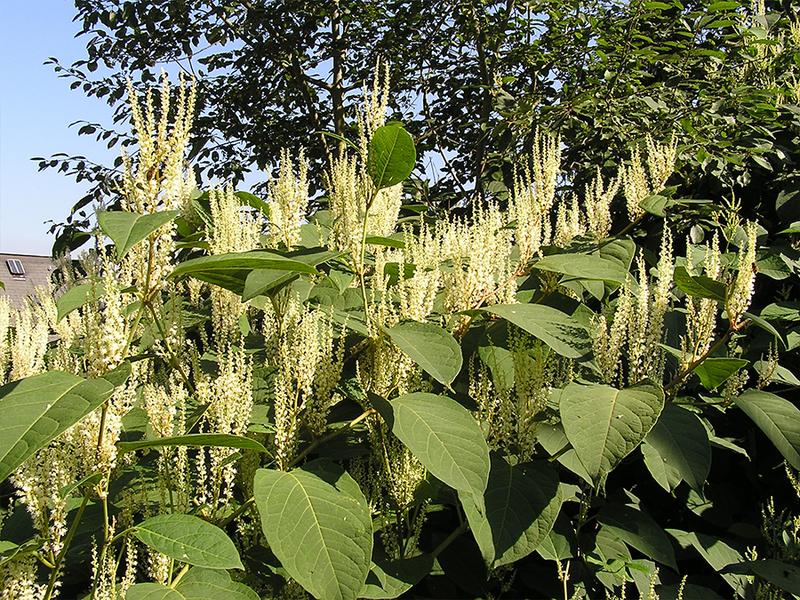 To find out more about Japanese Knotweed and other pesticide administration services, please click here to get in touch.